See at the bottom of the page for the list of winners! 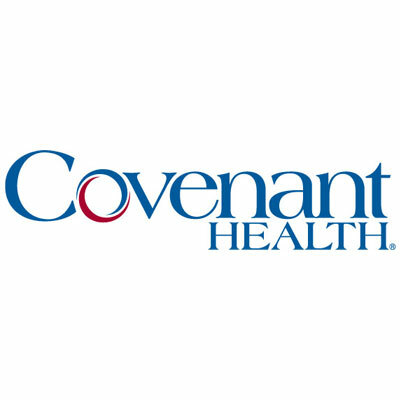 With the wonderful support of Covenant Health, we are happy to offer the 1 mile Covenant Kids Run as part of the Covenant Health Knoxville Marathon weekend. 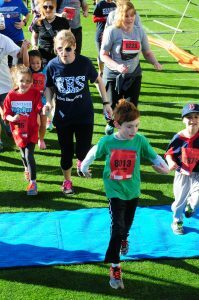 The Covenant Kids Run is a program created to encourage our local children to lead healthy and active lifestyles while participating in an exciting, goal oriented, community event. Those participating will run a total of 25 miles in the time period leading up to the race on March 30, 2019. On race day, participants will run a 1 mile course, finally completing the marathon distance of 26.2 miles. They have an option to run or walk the 26.2 miles. Our goal is not only to address personal fitness, but to build self esteem and confidence through goal setting and teamwork. Parents and/or teachers are encouraged to help during the process. Click here for a map of the 2019 Covenant Kids Run course. NOTE: The Covenant Kids Run race is held on Saturday Night! Packet pick-up will be at the Expo on Saturday, March 30, 2019 at the World’s Fair Exhibition Hall (935 World’s Fair Park Drive). Be sure and show up in plenty of time to pick up your child’s packet, browse the expo, and head over to the start line of the 2019 Covenant Kids Run! All participants will receive a t-shirt (Youth S-XL or Adult S-M), post-race refreshments, and a finishers’ medal. Important Note: Kids’ shirts are typically ordered in Youth sizes. We also have Adult sizes available this year. As we get closer to the race, we will post instructions for race weekend. Please check back! 2019 Mileage Logs are now available. Click here to download one today! All logs can be presented upon packet pickup at the Health & Fitness Expo to receive a finisher’s certificate. All finishers’ names will be sent to the Knoxville News Sentinel to be published Monday after the race! We will present each school with a plaque and a check before school gets out next Spring. Thanks again to Regal for sponsoring the Fittest School Challenge!